To pass the bar exam, you need to study smart! Read on for tips on tailoring your bar study to your learning style, strategies for memorizing the huge amount of information you need to remember on test day, and lots of useful advice on practicing, making study materials, and studying effectively. Want some help? Check out the Bar Exam Toolbox tutoring and course offerings! What Can Your Academic History Tell You About Studying for the Bar Exam? At this point in your career you're experienced at studying the law — and at taking law school exams. But thinking about your past academic history should still be part of getting ready for the bar. 5 Bar Exam Study Tips for Visual Learners Memorization is a key factor in how well you’ll perform on the bar exam. But are you studying in a way that fits your learning style? Find out what you should be doing if you're a visual learner! 4 Bar Exam Study Tips for Auditory Learners Are you finding that simply reading material isn't helping you learn it? If you’re an auditory learner, listening, hearing, and speaking are the ways your brain processes material. Find out how you should be studying for the bar if you're an auditory learner. 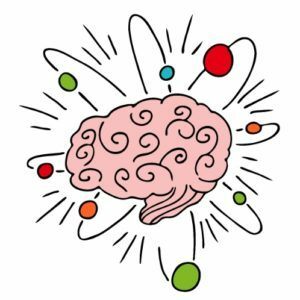 4 Bar Exam Study Tips for Kinesthetic Learners If you’re a kinesthetic learner, your brain processes material best by carrying out a physical activity. You’re often seen as a “hands-on” learner or “do-er.” Here are four techniques to help kinesthetic learners memorize material for the bar exam. Mind Maps and Other Fun Visual Learning Methods We discuss unique visual learning techniques that can help any law student and bar student study in a new way. Even if you don’t identify as a visual learner, try these techniques out. Learning using all of your senses, also called multimodal learning, can significantly improve your retention and engagement when studying. Bar Study Tips For Different Learning Styles Everyone has to memorize and comprehend the same material to pass the bar exam, but not everyone has to go about it in the same exact way. You should also tailor your review to include specific learning strategies that work best for you. We tell you how! Preparing for the Bar as an ESL student We discuss English as a second language students (ESL) law students preparing for the bar exam. Want To Set Yourself Up For Bar Exam Success? Take Control of Your Own Learning! No bar prep program can guarantee success, regardless of how many of the assignments you complete, if you are not actively engaged in the learning process. Consistently completing assignments is crucial, but it’s not always sufficient. To set yourself up for bar exam success, you not only have to put in a lot of study hours, you also have to take control of your own learning. Memorization Techniques to Help You in the Final Weeks The bar exam tests many different skills: the ability to analyze complex factual scenarios, to spot legal issues, to perform under pressure, to draft cohesive arguments, and so on. But it will be difficult to sufficiently and accurately perform these skills without first mastering the skill of memorization. The Best Memorization Methods For the Bar Exam Passing the bar exam requires an intimidating amount of memorization. Here are a few methods that work for memory champions and that worked for me when I studied for (and passed!) the bar. Bar Study Tip: Handwriting Study Materials These days most of our work is done on computers. But there are a lot of benefits to turning off the computer and writing study materials by hand, including improved memorization. Find out how you can easily transition to handwriting your bar exam study materials. Are You Practicing Effectively for the Bar Exam? Practice a Full Bar Exam Session - Go For the Gold Practice is key to successful bar exam study. There are different ways to practice though, and we're looking at the best options. Why Practicing For the Bar Exam is so Important One of the things that bar-takers might consider cutting back on are practice exams, including multiple choice tests, taken under timed circumstances. But we discuss why practice should be key to your bar study. Please DO NOT Spend All of Your Time Studying the Law! Finding yourself short on practice time because you're spending a lot of time studying the law? While you must study the law, practice is still the most important part of bar prep! Find out why in this post. Why Do We Have to Write Out Practice Answers? Many students complain that writing out exam answers just takes too much time. Instead, they only want to outline and issue spot exam answers. This post explains why for most of us, writing out complete answers is still the best strategy. The Power of the Re-Write When you're evaluating your practice answers, you shouldn't just look for what you did wrong. Re-writing an essay is also an opportunity to review the law and practice the analysis, not a waste of time! Find out how rewriting can help you improve your answers. Help! My Bar Exam Practice Scores Are Going Down! You've spent hours and hours studying, but your practice scores don't show it. Get advice on what to do if your bar exam practice scores are actually going down the more you study. Are You Evaluating Your Work? You Should Be! On test day, self-evaluation will be your only quality control while writing the exam! Learn how to thoughtfully evaluate your own work on each section of the exam. Don't Get Fixated on Practice Scores Part of any bar prep program is getting feedback on essays. Feedback is great for assessing your progress, but it's easy to become fixated on your score rather than the feedback. Find out the best way to deal with practice scores and feedback. Practicing for Bar Exam Success The most important part of a bar exam preparation program is practice. The bar exam covers a huge amount of law, and the best way to tackle that material is to practice it under exam-like conditions. So how do you move from watching bar prep videos to actively learning and practicing? Follow the steps in this post! Where are the Magic Outlines to Help Pass the Bar Exam? Outlines are a vital tool for bar exam prep. But where can you get the best outline? Online? From your review provider? How about from yourself! In this post we argue that the best outline is the one made by you, for you. Tackling Bar Exam Materials Like a Pro Without organizing all the material you need to know for the bar exam, it is near impossible to keep your sanity while studying. Organization is key! In this post we share our method of tackling subjects to best save time and stay organized! 5 Ways to Tell if You are in Bar Study Trouble Assuming you don’t fall into any of our previous "red flag" categories, and assuming you are studying hard and practicing, how do you know if you need to be doing things differently? This article will outline five warning signs that you need to change up your study game. Why Using IRAC Will Help You Pass the Bar Exam Since the first semester of law school, you likely learned that the key method of writing exams was to use IRAC. IRAC is a method of legal analysis and writing that you will carry with you and use throughout your entire legal career, which can only begin by you using it to pass the bar. Advice from a Bar Grader: Tips to Maximize Your Essay Score Raw score, scaled score, what does it all mean? It means get all the points you can. We offer tips to maximize your essay score! Managing Your Time During the Bar Exam During bar prep, you will all face the harsh reality that there are only twenty-four hours in one day. Twenty-four hours goes by pretty quick when you spend each day trying to process tough material during bar review. But there’s no need to worry because I’ve put together, a few time management methods to help you along the way! How to Keep Yourself on Task While Studying for the Bar Along about the second month of bar prep, most students start feeling pretty exhausted. You know the exam is looming in just a few short weeks, but you can’t seem to drag yourself to do the work you know you need to do. It's important to keep yourself on track and accountable! Top Tips for First-Time and Repeat Bar Takers We discuss certain things that everyone who wants to pass the bar should focus on during their exam prep. Because there are wrong ways to study, here are my top tips for you to incorporate into your bar prep studying so that you can be exam ready. What To Do the Week Before the Bar Exam So it’s here. Some may call it the week in which you will experience the most anxiety of your lifetime. Whereas others may call it the last seven days that you have to create an exit strategy. In reality this is the final week before the bar exam and yes, it is completely worth it to follow through after all the sacrifice you’ve put in! Keep It Simple For Bar Success While there are some great new study tools out there that might be worth exploring, particularly if you’re repeating the bar exam, the best study strategy is generally to keep it simple. The bar exam is not the time to try something new. Use the study strategies that have worked well for you in the past, and make sure you incorporate these 3 simple steps into your preparation process. 5 Reasons Why You're Going to Pass the Bar Exam To help you feel more confident as you get down to the heavy bar study time, remind yourself of these five reasons why you are going to pass the bar exam. Maintaining Good Study Habits Throughout Bar Prep Most students, temporarily overwhelmed by the sheer volume of information they have to learn, start bar prep concerned that there won’t be enough time to adequately prepare for the exam. While the compressed time frame can be intimidating, several weeks of preparation is usually adequate if you are sticking to an appropriate study schedule. Use these tips to help you stay motivated and maintain good study habits throughout bar prep. Shifting From Law School Exams to Bar Exams Completing law school leads to the next challenge: passing the bar exam. Of course, some of the information you learned in law school, including black letter law, how to write a brief, and (if you were lucky) how to IRAC, will be useful for taking the bar exam. However, in order to be successful on bar exams, you need to shift from some of the old goals and techniques you used on law school exams to new goals and techniques that will lead to success on bar exams. Top Aggravators For Bar Passage and How to Avoid Them No one wants to take the bar exam twice any more than anyone wants to have a root canal twice. Take a look at this list, engage in a little self-confrontation, and start mitigating now! Why You Should Drive the Horse In the Direction It's Going We're looking at why "going with the flow" can be really helpful during bar prep. Avoid Making Mistakes While Studying for the Bar Exam The reality is that in the current climate, a huge percentage of people taking the bar exam will fail. Depending on where you take the exam, that percentage may be larger than you ever thought possible. For this reason, you should consider the potential mistakes some bar studiers make and try to avoid them. The 3 Most Important Study Tools For Any Bar Exam Self-Studier If you're considering for or currently doing self-study for the bar exam, we have some important advice. Bar Schedules: How Can I Catch Up If I Fall Behind? Even the best bar study schedule is useless if the student doesn’t follow it. Obviously, this happens to everyone, but sometimes when people fall behind on their study schedules, they get too overwhelmed to realize that they can make things work. Don't Kid Yourself: There's a Wrong Way to Study for the Bar For the most part, everyone agrees that bar exam studying involves memorizing law, writing essays and PTs, and practicing MBEs. But, the way you carry out these tasks is also crucial. If you’re just going through the motions in some of the following ways, don’t kid yourself - you’re doing it wrong. Here are some other signs you might be studying wrong. Four (Non-Studying) Things You Can Do to Make Sure You Are Ready for Bar Season Here are a few things you might have forgotten about during your marathon study sessions. Drinking from a Fire Hose? How Simplifying Can Help You Study for the Bar Studying for the bar exam often involves information overload. Feeling overwhelmed can slow your progress and impact your mindset. So what do you do if you feel like you’re drinking from a fire hose? Simplify. When and Where I Studied for the Bar Exam Finding a few places where you study your best is one of the most important parts of studying for the bar exam. In this post we share our favorite study spaces and why we chose them. What To Do if You Aren't Sure that Bar Prep Is Working for You There are many ways to prepare for the bar exam, but probably only a few that work best for you. In this post we talk about how to identify whether or not your preparation is working for you, and what to do if it's not. Can Social Media Help You Study for the Bar Exam? That's right, you read that correctly: social media can actually HELP you study for the bar exam! Seven Reasons I Think the Bar Exam Is Hard Yes, the bar exam is difficult, but maybe not for the reasons you think. The 7 Areas of Bar Exam Preparation In this post we welcome Dustin Saiidi, author and founder of the Bar Exam Mental Edge program, which is designed to increase your confidence while decreasing your stress and anxiety during bar exam prep. Read his thoughts on the 7 main areas of concentration for bar exam success. Bar Study Tips: An Entrepreneur's Approach to Studying for the Bar Exam When you take the bar exam, you won't just be learning a lot about the law. In this post Desiree Moore of Greenhorn Legal shares what the bar exam taught her about character, planning, and endurance, and how those lessons influenced her small business. Can You Study for the Bar Exam from a Beach in Mexico? In this post we present the following questions to you: Do you have to be on lock down during your bar exam study? Do you need to study in the library? Or can you do something totally different? Why not study in paradise? Predicting the Bar Questions Versus Refined Studying In this post we welcome back Jeff Curl, apprentice grader for the California bar exam and current attorney, to talk about the best way to focus your studying for the California bar exam. The Ins and Outs of Studying for the Bar Exam If you’re deciding how you will study for the bar, or if you’re already studying but wondering if you’re doing it right, here are some tips for how to tell whether your practices are “In” or “Out.” If your study habits or lifestyle choices are “so last season,” consider making some changes now to put yourself in the best position possible to succeed! It's Not Too Late to Get the Help You Need to Pass the Bar Every bar season when the exam is just a few weeks away, bar studiers everywhere start melting down. It mainly happens when they think about how much material is left to study -- and that can be really scary! But don’t fret, there are still a number of things you can do over the next month to avoid a full-blown freak-out and get the help you need to pass this exam. Bar Exam Toolbox Experts Share: Tips for the Final Week of Bar Prep We’re down to the final week of bar prep. From regulating your sleep schedule to memorizing attack plans, the Bar Exam Toolbox crew put together some advice for your the final stretch. Are You Studying the Right Way for the Bar Exam? If you’re taking the bar exam, you’re likely knee-deep in study mode at this time. But the question we like to ask our bar students is: Are you studying for the bar exam in the right way? Want some help? Check out the Bar Exam Toolbox tutoring and course offerings to help you optimize your study time.